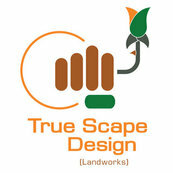 Excellent experience with True Scape Design. Great experience with the team! Listened to our wants and provided great options for us to consider. We are enjoying our yard everyday now! Nate and the team at True Scape Designs are amazing to work with. Top notch customer service and excellent at what they do. Highly recommended!